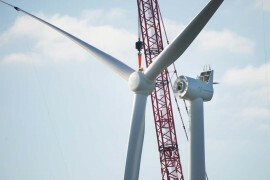 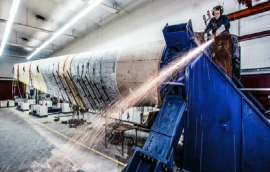 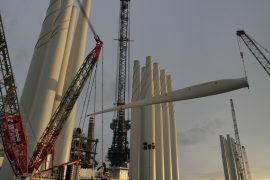 Alpha Offshore Service is carrying out repair works on some 80 blades of the 44-metre Vestas V90 3MW turbines at the Offshore Windfarm Egmond aan Zee (OWEZ) in the Netherlands, after the company signed a contract with NoordzeeWind, a joint venture between Nuon (Vattenfall) and Shell. 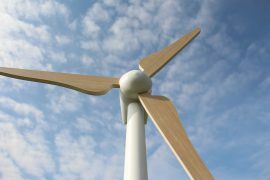 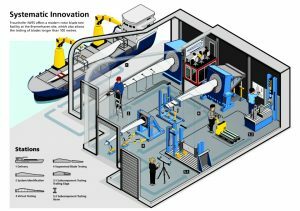 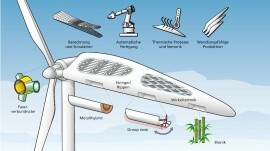 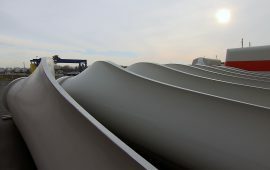 Siemens Gamesa has manufactured the first of the blades for the Beatrice offshore wind farm at its facility in Hull. 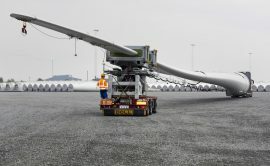 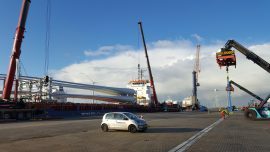 The first blades and tower sections for GE Haliade 6MW wind turbines that will spin at the Merkur offshore wind farm in Germany have arrived at the Buss Orange Blue Terminal in Eemshaven port, the Netherlands. 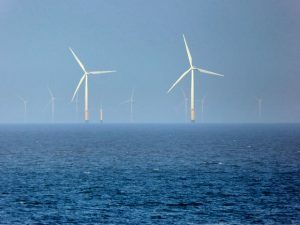 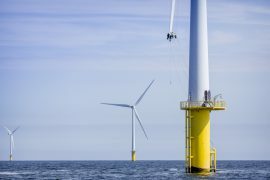 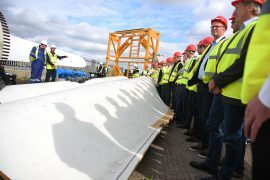 Offshore Renewable Energy (ORE) Catapult gathered offshore wind farm developers, turbine blade manufacturers and researchers in Blyth this week to address key challenges in the test and certification process for offshore wind turbine blades. 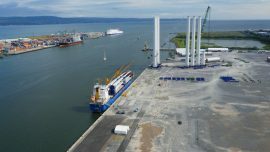 ​The first ever wind turbine blades manufactured at Siemens (now Siemens Gamesa) blade factory in Hull have been loaded onto A2SEA’s wind turbine installation vessel Sea Installer at the Port of Hull and are en route to the Race Bank site for installation. 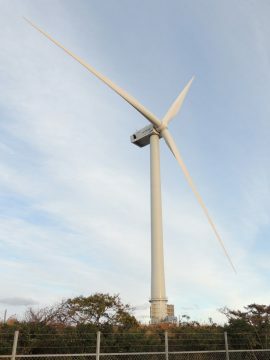 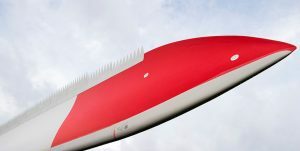 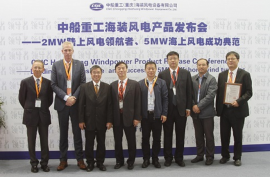 LM Wind Power has successfully completed installation and testing of a 66.5 meter wind turbine blade, ordered by Hitachi, Ltd. for offshore application. 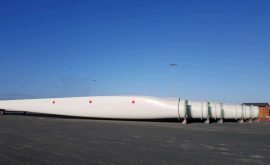 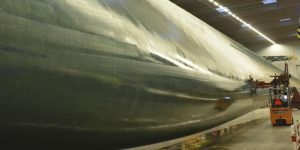 The first consignment of Siemens wind turbine blades for the Galloper offshore wind farm have arrived at Peel Ports Great Yarmouth, the turbine maker’s assembly and installation base for the 336MW project. 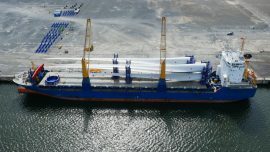 The first wind turbine blades for the 40MW Tahkoluoto offshore wind farm in Finland arrived to Mäntyluoto port in Pori. 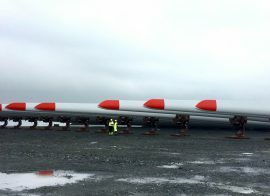 The 75-metre blades for Statoil’s 30MW Hywind Scotland floating offshore wind farm arrived at the assembly site, the NorSea Group’s Stordbase AS in Norway, on Friday, 17 February. 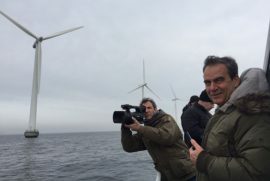 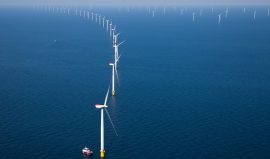 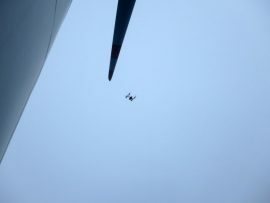 At the end of the last month, innogy sent a drone to inspect the blades on a turbine at the Nordsee Ost offshore wind farm for the first time.